GARDAÍ IN NORTH Dublin have been called in to investigate a north county Dublin credit union. The investigation comes as reports of at least €700,000 missing from the accounts of Rush Credit Union, which also serves the town of Lusk. The Central Bank has also confirmed that it is investigating and working with the credit union. 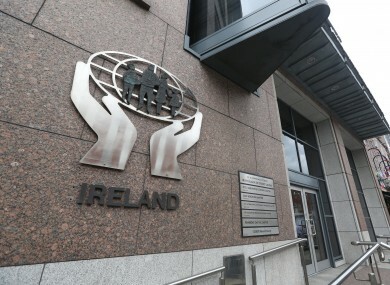 A report on the matter is being prepared for the board, however it is believed there are other serious issues at the credit union, which has over 10,000 members. Statutory reserves have fallen to 2%, well below the 10% demanded by legislation. “The board of Rush Credit Union Limited has appointed an external firm of accountants to carry out an independent financial review on behalf of the Board. “The Central Bank is aware that the review is taking place and is working with the credit union,” a Central Bank statement said. Members, whose savings will be covered by the government’s Deposit Guarantee Scheme should “continue to use the credit union normally”, the Central Bank says. However, a letter sent to members is asking them to check their balances. Rush-Lusk Credit Union has two offices across the two north Dublin towns and around €30 million in assets. Email “Gardaí investigating €700,000 missing from Dublin credit union”. Feedback on “Gardaí investigating €700,000 missing from Dublin credit union”.